Vondeling Wines is in the Voor Paardeberg Wine Appellation, and as you know the Cape is a floral wonderland. 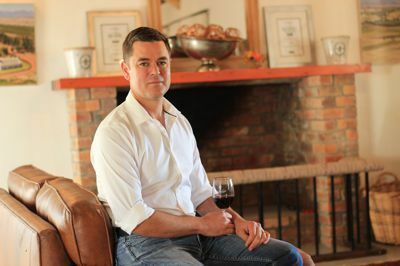 Matthew Copeland, one of the humblest of winemakers, recently released his new vintage signature red blend, the Vondeling Monsonia 2015, a blend of 85% Shiraz, 6% Mourvédre, 5% Grenache Noir and 4% Carignan. All the grapes are grown on the Vondeling Estate which is in the Voor Paardeberg, part of the Paarl Wine Appellation. Matthew Copeland, Vondeling’s wine maker is “excited to release the Vondeling Monsonia 2015, our flagship Rhône-style blend this autumn. 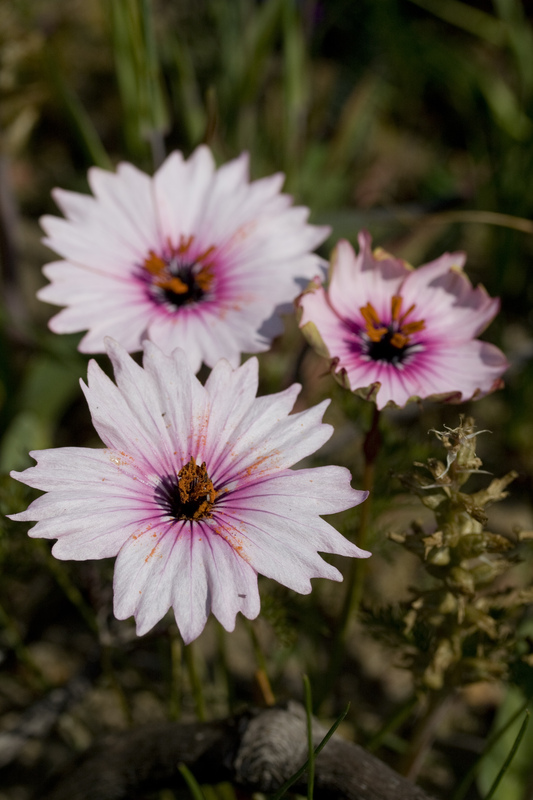 As a conservation champion under the WWF banner, Vondeling is dedicated to the protection of rare species of fynbos indigenous to the Paardeberg Mountain. Monsonia pays tribute to one of the highly endangered flowers grown here.” Also known as the Butterfly flower, the whole Monsonia species was named after Lady Anne Monson, great grandchild of King Charles II. She was known as a “remarkable lady botanist” and was instrumental in translating Linnaeus’s famous “Philosophia Botanica”. In 1774 she visited the Cape of Good Hope and accompanied seasoned collector of South African plants, Carl Peter Thunberg, on several expeditions around the Cape. Later, in honour of his admiration for her, he named the Monsonia species of plants after her. Shiraz vines from 6 different clones grow on Vondeling and those which perform best are selected for this wine. They grow on south east facing slopes of the Perdeberg and with each clone bringing its own special aromas and flavours and picking the different blocks are picked at varying degrees of ripeness in the ideal ripeness window, best suited to their character. Matthew Copeland uses large format French oak barrels of which a third were new, and the remainder second and third fill. 16 months were spent in the barrel before Matthew’s final selection, blending and bottling. Bottled under natural cork in a Burgundy shaped bottle with the simple and elegant Vondeling livery. In the glass, a gem bright ruby red at the core which pales out to a. purple garnet at the edges. The nose is rich and aromatic with Parma violets, ripe bloodplums and sweet brown spices. Touch of savoury with coriander seeds. The flavours are so beguiling. Lovely dark fruit, roadside brambles, elderberries and blueberries. Mocha and oak with its concomitant spices and flavours of boletus and forest fungi. Wonderful full palate with a long and gently waning aftertaste. We found this a stunning wine, so pleasing. We had it as a glass before and during a meal of spicy peri peri chicken thigh kebabs. It sang. 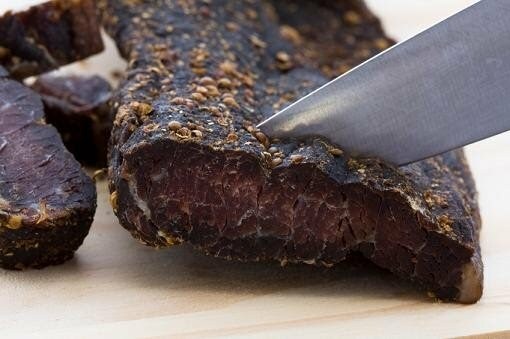 It would go well as a glass on its own watching sport, the braai fire dying down, or in deep philosophical discussion about rugby scores, with a stick of biltong and a sharp knife. It loves red meats, those off the braai, out of the oven or a pan. If you can get a bit of caramel going around the meat, the wine will like it. The Vondeling Monsonia 2015 is on sale in the Vondeling Tasting Room at R215 per bottle and at specialist retail outlets nationwide.